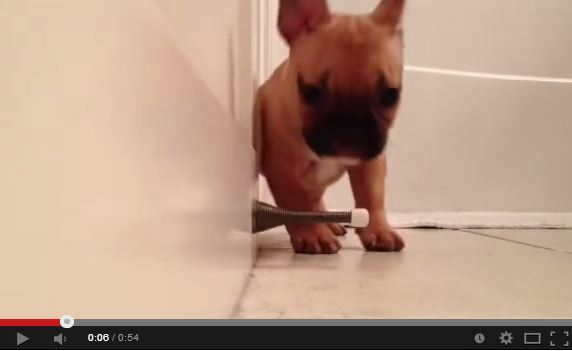 Cute French Bulldog Puppy Playing With Door Stop! Have you seen this?!! So cute! One of our Frenchie followers asked for us to show this video and after watching it, well who could resist.